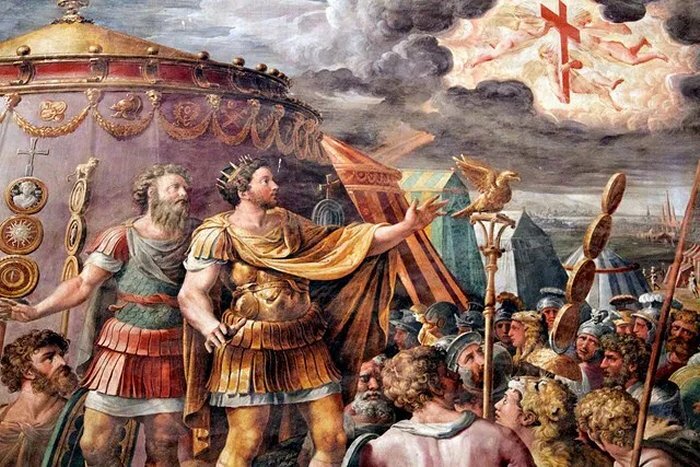 Before the Battle of the Milvian Bridge, Roman Emperor Constantine had an incredibly vivid dream, leading to a decision that changed the course of history. Dreams have always been regarded as omens, or prophecies of the future, by many cultures around the world. One of the most famous prophetic dreams of ancient times was that of Roman Emperor Constantine (274 – 337 AD). He had this dream during one of the most arduous battles of his life. Constantine was the first Roman emperor to convert to Christianity. He was also the man who published the Milano Ordinance, a document which ended the nearly 300-year massacre of Christian followers. Roman Emperor Constantine believed in one Almighty God but was also a follower of Sol Invictus (the sun god of the Roman Empire). Constantine denied the existence of other gods outside of his own faith. However, the Battle of the Milvian Bridge and the strange dream that followed completely changed his belief system. The Battle of the Milvian Bridge took place between two Roman emperors, Constantine and Maxentius, on October 28, 312 AD. The battle was named after the Milvian Bridge, an important economic and strategic route on the Tiber River. Constantine won the battle and proceeded to eliminate the long-standing Regime of Four Emperors to become the sole ruler of the Roman Empire. According to historians, the Battle of the Milvian Bridge marked Constantine’s official conversion to Christianity. During the battle, facing an army with twice as many forces as his own, Emperor Constantine understood that he was at dire risk of losing his life. Historical records suggest that Constantine and his army saw a cross shining in the sky just moments before the battle commenced, accompanied by a message in Greek. Translated into Latin, the message read “In hoc signo vinces” (“This symbol will conquer”). Constantine was so excited that he ordered for the symbol of the cross to be affixed to all of his soldiers’ shields. Constantine and his men won the Battle of the Milvian Bridge and the emperor attributed the victory to the message of his prophetic dream. Shortly thereafter, Constantine took over the mighty Roman Empire. As new ruler of the Empire, Constantine built a triumphal arch to commemorate his battle victory, claiming that victory had been won because of divine intervention. 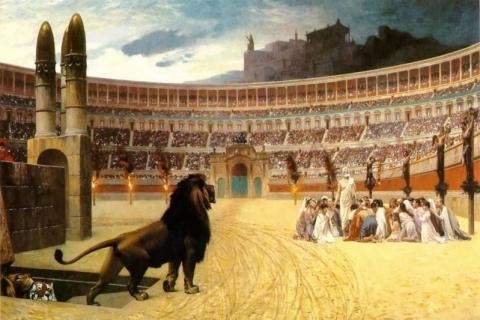 Christians had endured brutal persecution by earlier Roman emperors for nearly 300 years. They were often forced into the arena to be torn apart by wild animals or were tied to bales of hay and set on fire. Emperor Constantine made a dramatic decision that changed history from that moment on. 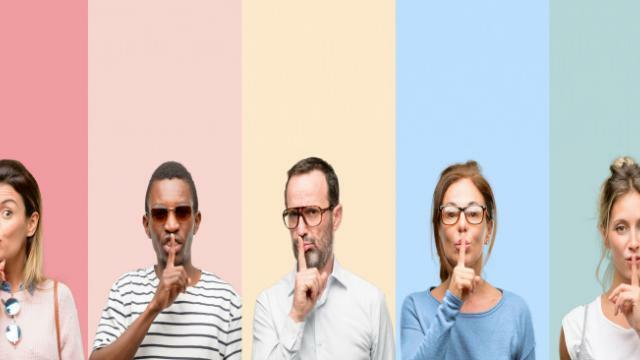 On June 13, 313 AD, he issued the Milan Ordinance, a document which allowed Christians to follow their beliefs freely, thereby officially ending their long and desolate persecution. When Emperor Constantine came to the throne, he challenged the policies of his predecessors. He recognized and enforced respectful conduct towards Christian people. After his vivid dream and battle victory, he even made Christianity the official religion of the Roman Empire, one of the greatest empires in human history. In his writing, Constantine made it clear to his Christian followers that he believed his success was due to the protection of the great Christian God. During his reign, Constantine built a number of public buildings, granted privileges to his people (such as tax exemption), and returned much property that was confiscated during the Great Massacre. Since his impact, Constantine has been known as the “First Christian Emperor” of the Roman Empire. His reign was also a historical turning point for Christianity. The connection between Constantine’s vivid dream of an angel’s prophecy and his decision to change the history of the Empire is written in the history books. At a critical moment, he chose to stand on the side of righteousness, and at the same time brought justice to a persecuted community. His conviction also guided him to act with integrity. The rule of the Roman Empire was divided between four emperors (called “the first four emperors”) across Asia, Europe, and Africa. Emperor Constantine felt that after his defense of Christianity, all the glory of heaven and earth came upon him, turning him into the greatest emperor of the mighty Roman Empire. 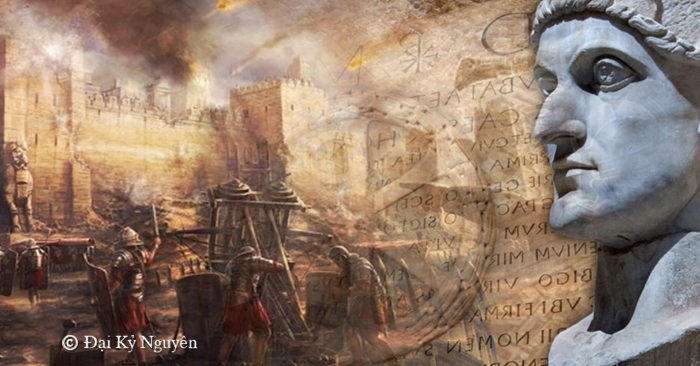 Constantine’s Christian revival was a momentous and pivotal moment in Western history. The most extraordinary element of Emperor Constantine’s decision was that his conviction was born of a dream. Was Constantine’s dream indeed an angel’s prophecy? A divine intervention? This divine tale may simply serve as a reminder to have faith in righteous behavior, to dare to act with good will and help eliminate evil. Each of us has the power to make and change history with our beliefs, conviction, and action.